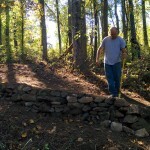 Trails are one of the earliest and clearest markers of society, CAMBC president David Stackhouse reminds us. 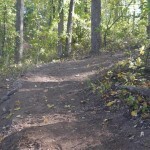 To move about efficiently, early humans created trails. 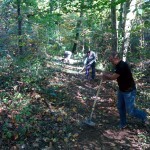 Trails provide protection to our surrounding natural resources by concentrating travel patterns as we explore our world. 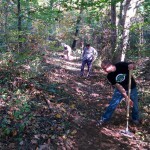 And above all, trails unite communities. 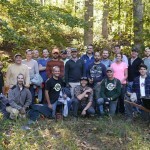 Dave shared this message of unity to kick off a trail building workshop led by the International Mountain Bicycling Association’s Trail Care Crew. 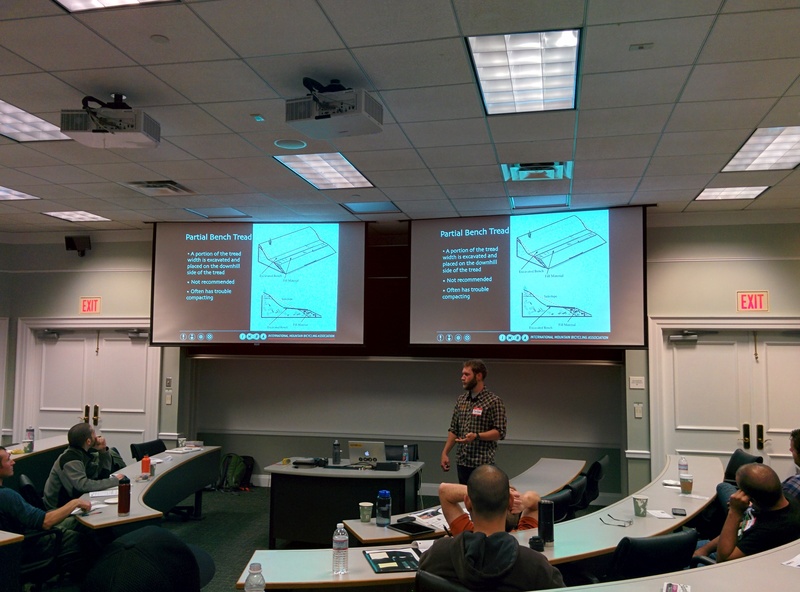 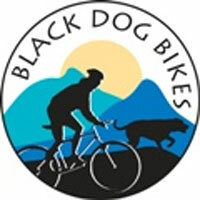 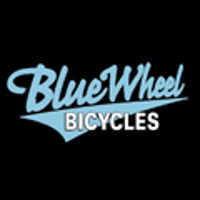 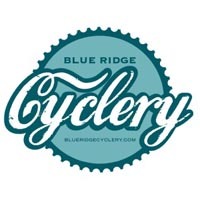 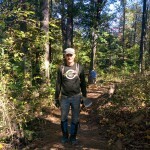 The attendees included mountain bikers, hikers, and trail runners from various areas of Virginia. 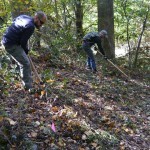 Our IMBA Trail Care Crew leaders, Lani and Jordan reinforced this message as they discussed the impact of trail design on various trail use types. 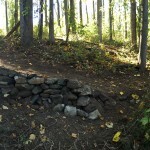 IMBA promotes mountain bike friendly trails, but the vast majority of their projects are shared-use; appropriate for biking, hiking, running, and often equestrian use. 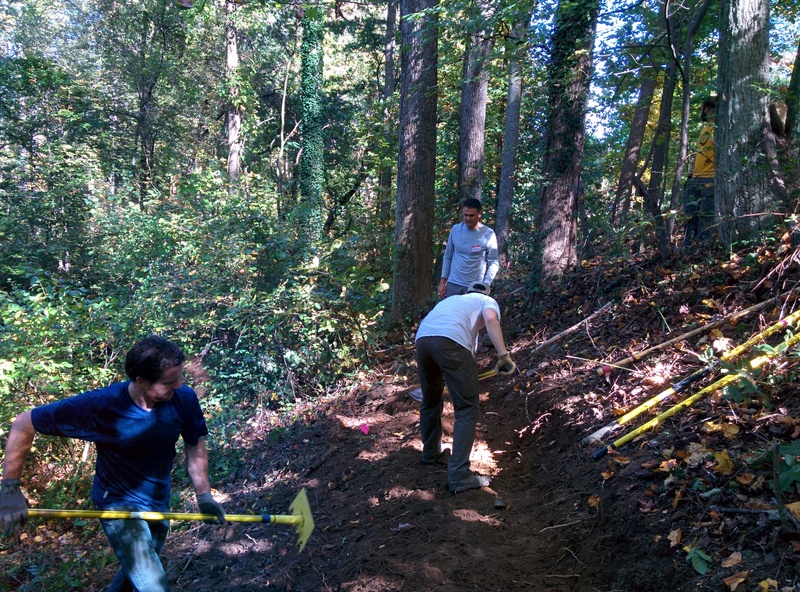 The goal of the day was to learn to build quality, sustainable trail, instead of just following the shortest path through the woods. 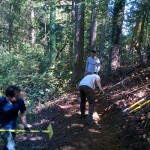 “You are leaving a legacy”, Lani said of properly built trail. 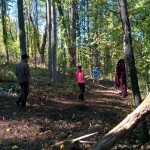 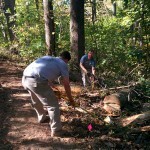 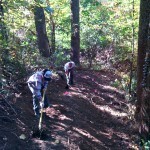 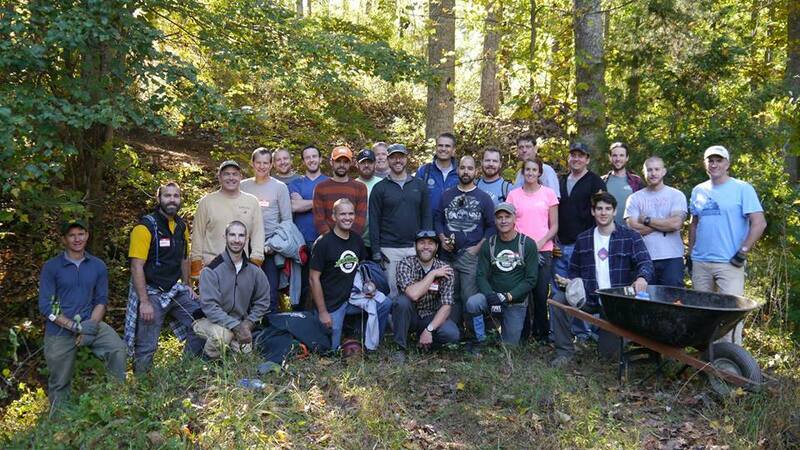 Fo llowing the workshop, 30 volunteers worked on a new 800 foot section of Rivanna Trail behind UVA’s campus. 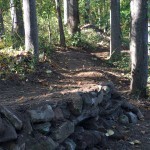 This section of trail will reroute a 100 foot section of steeply sloping and unsustainable legacy trail. 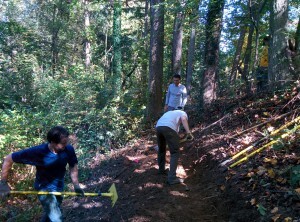 The new trail follows more closely to the contours of the hillside, and will handle water runoff much better than the legacy trail. 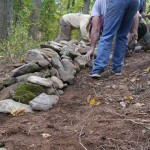 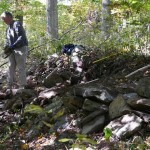 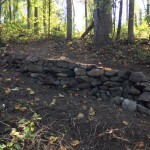 The work site had many steep slopes to deal with, and where bench cuts were not enough to secure the trail, rock retaining walls were constructed. 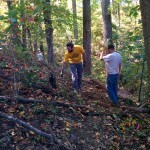 The crew of volunteers worked hard, and completed more than we had anticipated for the day. 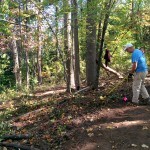 Remaining work includes connecting the ends of the trail to the existing trail, moving an existing bridge to a new stream crossing, and removing the legacy trail to encourage use of the new reroute. 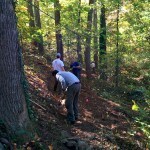 It was a great honor to work with IMBA’s Trail Care Crew. 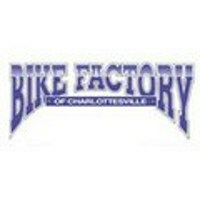 It had been 12 years since their last visit to Charlottesville. 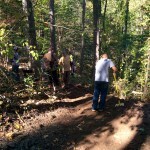 We hope this visit will encourage our club and other local trail use communities to push for sustainable multi-use trail in our area. 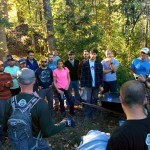 The knowledge this small group gained can be shared with thousands of other trail users. 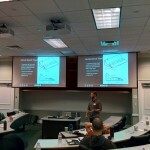 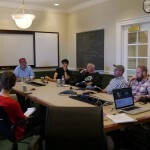 Special thanks to Lani and Jordan from IMBA, and Dave Stackhouse from CAMBC for hosting this event.